Sunrise above Echo Canyon ©2017 James D Peterson. 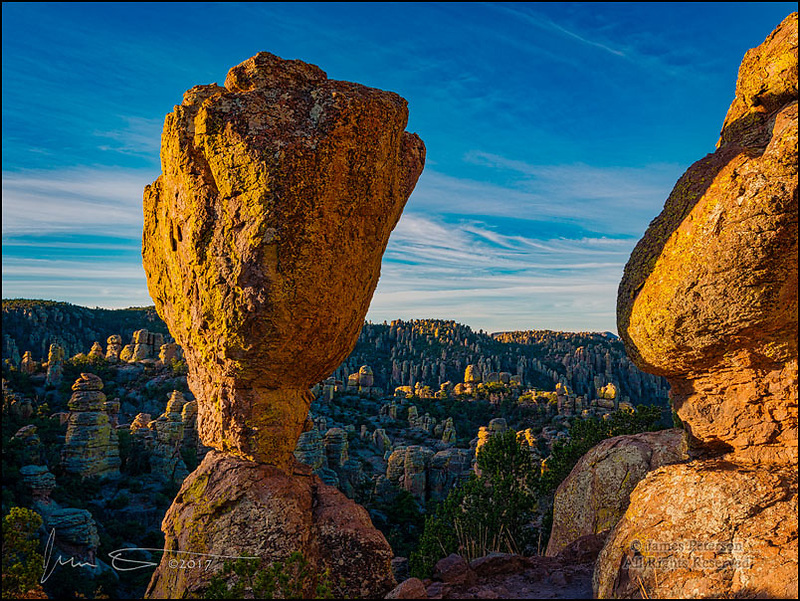 I don't know if anyone has ever tried to count them, but Arizona's Chiricahua National Monument must have thousands of hoodoos. This is only a small sample of them, and they can really glow at sunrise and sunset. The balanced rock in the foreground is right alongside the Echo Canyon Trail.